Canelés traditionally come from the Bordeaux area in France. They have a light custard-like batter consistency with a caramelised crust. The Borderlaise Canalé is sweet, flavoured with rum and vanilla and is baked in a copper mould. Canelés originate from the 18th Century and have been long associated with the Nuns of the Annonciades Convent in Bordeaux. The Chateaux around Bordeaux used egg whites to filter the wine in the vats but had no use for the yolks, so the Nuns were given the egg yolks to make cakes, especially Canelé! The best Canelé I tasted on a recent trip to Bordeaux came from the shop Baillardran. They have several shops in Bordeaux and a few others in the Aquitaine area. They also sell online. 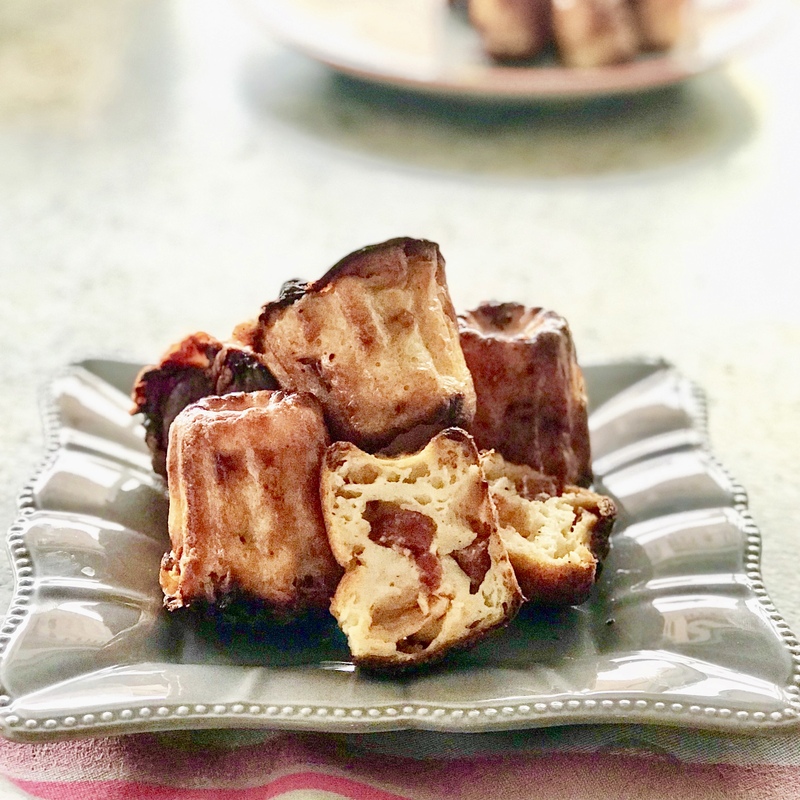 Baillardran offer a 2-hour workshop to make Canelé, I’d love to try this on my next visit! 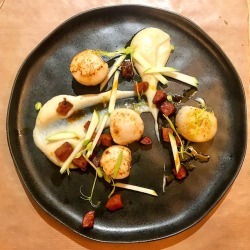 I decided on a fusion creation of this French classic – so here is a recipe for a savoury version using Beaufort Cheese in celebration of their 50th Anniversary of achieving the prestigious AOP label. Pour the milk into a saucepan, add the butter and bring to a boil. Meanwhile, in a bowl, beat the egg and egg yolk. Add the salt, pepper. Stir in the flour and mix. Pour the milk in gradually and mix again. Mix everything in a blender or Kithcne Aid. Add the Chorizo cut into small pieces and the Beaufort into thin slices. Mix. Pour the dough into fluted moulds and bake for 45 minutes. Verser le lait dans une casserole, ajouter le beurre et faire bouillir. Pendant ce temps, dans un saladier, battre l’œuf et le jaune d’œuf. Saler, poivrer. Incorporer la farine et mélanger. Verser le lait en plusieurs fois et mélanger à nouveau. Mixer le tout dans un blender ou un robot. Ajouter le Chorizo coupé en petits morceaux et le Beaufort en fines lamelles. Mélanger. Verser la pâte dans des moules à canelés et enfourner pendant 45 minutes. 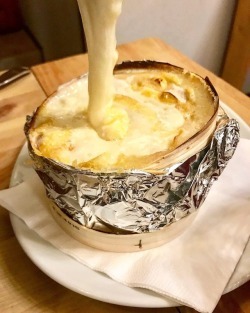 Copyright © 2019 Taste of Savoie. All rights reserved.